Google just dropped an elbow on the yellow pages biz in the local search ring. They're displaying A LOT MORE local search results for local searches. See the graphic below. 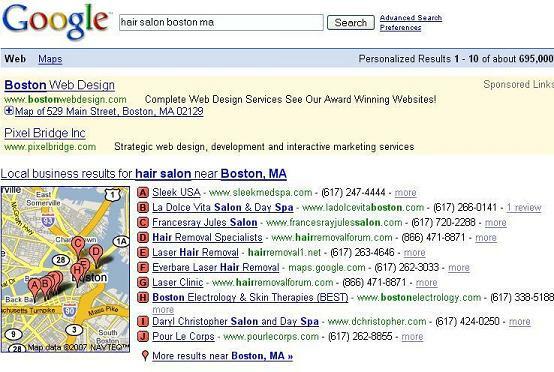 If you aren't listed in Google Local, you better get on that ASAP. Here's the search. Do you see it?